Philips and LG have activated their Smart TV Alliance today with the intention of creating apps that work across internet televisions built by different manufacturers. The partnership was first announced back at IFA 2011 when LG and TP Vision (for Philips TVs) promised more details in due course, including the names of other television makers getting involved. Those we're still waiting for – we still only know of LG, Philips and Sharp – although the Alliance promises that "other Japanese TV manufacturers" are "in the process of joining" and we should know more by the end of this month. Whether or not Samsung, which has led the way in the smart TV arena, will join remains to be seen. The alliance hopes to make it easier for developers to create apps that will work across all platforms in one foul swoop, rather than forcing them to port apps between TVs with differing requirements. "Before today, the Smart TV industry was a very difficult market for both TV manufacturers and application developers as TV's from different brands used different platforms and technologies," said Bong-seok Kwon of LG Electronics, president of Smart TV Alliance. "Smart TV Alliance creates a larger playing field which encourages developers to create more and better TV applications at the same time giving manufacturers and consumers the richest source of movies-on-demand, music services, games, social networking and more." Of course, it's not just televisions that come with Smart capabilities – to be truly universal, the alliance will need to include set top box manufacturers and games console specifications. 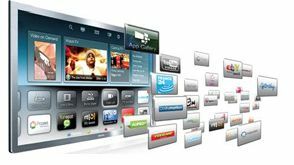 Either way, it's a good move for the industry and the SDK 2.0 software will be released on the Smart TV Alliance website for devs to get to work on 2013's apps.